In 2017, IDC interviewed 602 senior execs from global enterprises. What they found is that many are unhappy with the results of their omnichannel marketing systems. 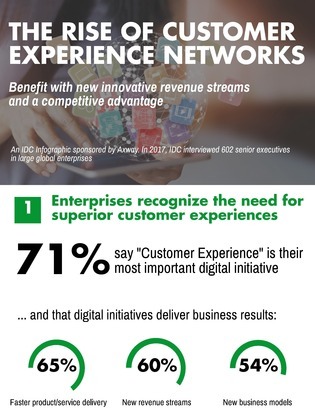 In fact, 41% said they failed to deliver a unified, real-time view of the digital customer experience. In this infographic, learn how APIs play a big factor in connecting disparate digital marketing channels – and how a collaborative approach can help you deliver real-time, responsive promotions to customers and stakeholders.